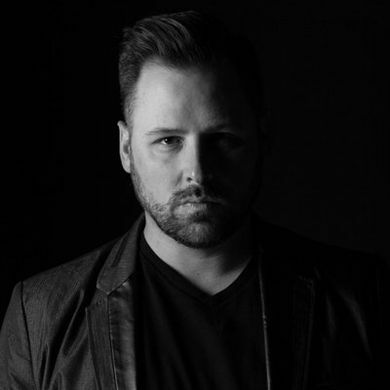 Yes, the voice behind Pride Of Lions returns with his second solo effort. It follows 2012's 'Mercury's Down' which if I recall way back then, I gave a 100% rating. 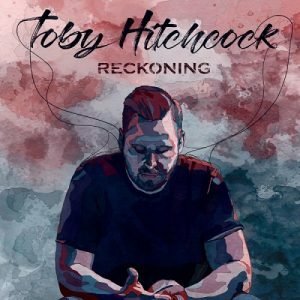 Obviously it's been some years since that debut effort, and things have changed musically in the world, but one thing is certain, Toby is still a fine singer, and deservedly we get to take a listen to the new one 'Reckoning'. I'm quite rapt that the Swedish super-team of Flores and Palace get to provide the musical backing as they have done with other fine singers such as Robbie LaBlanc and Goran Edman, so let's see what's on offer here. As you would expect reading off the bio sheet, all the 80's goodies from yesteryear can be referenced here. Journey, Survivor, Chicago and of course Pride Of Lions, all compulsory heavy-hitters at GDM. Some of the material is just killer. 'Promise Me' just rolls beautifully, 'Fighting For My Life' is an intense affair that justifies the song-title perfectly. 'Queen Untouchable' sounds like a power-packed Pride Of Lions number, the chorus is magic. Toby and the team don't skip a beat, with 'Gift Of Flight', a soaring melodic delight, which segues nicely into the semi-powerful 'Don' t Leave', guitars and keyboards all over the show, though the chorus could've been better. One of my other highlights is the power anthem 'This Is Our World' which is a clarion call for humanity to step up their game. Considering the nonsense going on global, this is a timely message. Finishing with 'Someone Like You', it seems Daniel Flores can't quite get that 'Wrecking Ball' melody out of his head when writing songs. We heard it on two Find Me albums and now here.. Lol! Some of the other reviews elsewhere on the Web are a bit indifferent, but from where I sit, this album is 'just about' near perfect. Toby's voice is sounding full and glorious, and surprisingly there is only the one ballad. Yes, just the one! 'Reckoning' comes as an early 2019 gift, and it's one I'll be playing on my travels around th countryside. If there's one let-down it would have to be the record cover, which is a bit nondescript. Thankfully the music isn't. Get into it and give your ears some candy. Not a great video, but the song is awesome. Your making a judgement upon hearing one song? Nope, of course not. That's why I ask if I should bother listening to the whole thing or not? More of a rhetorical question I guess. For some reason, I didn't really get into "Mercury's Down" back in 2011. But this - this is good, and I'd also give it a 9.5. While it is quite similar to the new Find Me album - both with powerful singers - the songs on this one stick to my memory better. He manages to break away from the Pride Of Lions sound on here. Songwriting credits are mainly Steve Newman, Marcus Nygren (State Of Salazer), and Mike Palace. And it also helps that Hitchcock has toned down his tendency to overpower each song. He goes big when it's called for (maybe a touch more in places), but he's also a lot more restrained overall. I'm really enjoying this one.